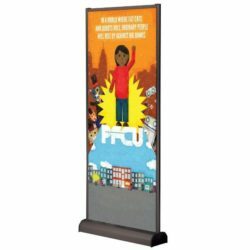 If you need to seperate the spaces or an eye-catching graphic back wall to your booth, these multi banner walls are the solutions you have been lookign for. These wall banners let you construct a seamless backdrop. 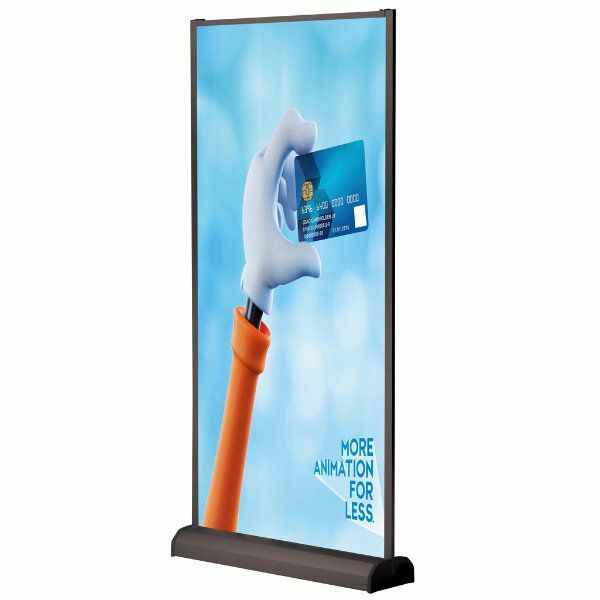 As a deluxe banner stand, wall banner features high quality mechanisms for a durable and long-lasting poster display. The side profiles keep the poster straight and firm in place. The base houses the poster and the profiles. It is also used to create walls fixing numerous wall banners. 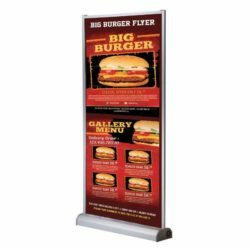 The benefit of this multi banner wall is that it can display posters that are printed on both sides. Side profiles are packed in the base. Bottom and top profiles feature clamps that hold the banner. Wall banner can be both used single or double sided. 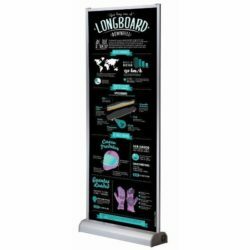 This wall banner is for 39-3/8 x 78-3/4 poster size and has black anodized finish.